Please review the F.A.Q.s and the GLI Orientation Packet — if you have any additional questions please reach out below. The Global Livingston Institute is a community-based research institute developing strategic partnerships in both East Africa and in the United States with a focus on education and social impact. Modeled after the Aspen Institute and the Rockefeller Bellagio Center, the GLI creates a place at the table for students and community leaders to innovative complex solutions to poverty. GLI has two campuses; one in the Bunga District of Kampala in Central Uganda and our main research center in Kabale in Southern Uganda. GLI is also operating research projects in Northern Uganda and has public health and education contacts throughout the country. Since 2009 GLI has developed extensive networks with the public, private and nonprofit communities in both countries, which have been eager to engage in research, education and job creation opportunities. Packet includes information on essentials, health and safety, packing, currency exchange, expectations, excursion opportunities, and more. Please review before your trip. How soon do I need to get my immunizations? Is it safe in Uganda and Rwanda? Will I be able to call family and friends back home? How can my family contact me if there is an emergency? What phone package should I get? It is safe to swim in Lake Bunyonyi? What should I bring to give out? What should I wear that is culturally appropriate? While some travelers may spend more than others, we suggest bring $300 upon arrival as you will have the opportunity to withdraw more money if need be. Debit and credit cards can be used in some places, but plan on relying primarily on cash. If you plan on bringing a debit or credit card, it is important that you contact your bank or credit card provider before leaving to let them the dates that you will be in East Africa. We recommend speaking with your specific bank individually prior to your departure to determine the best options while traveling internationally. 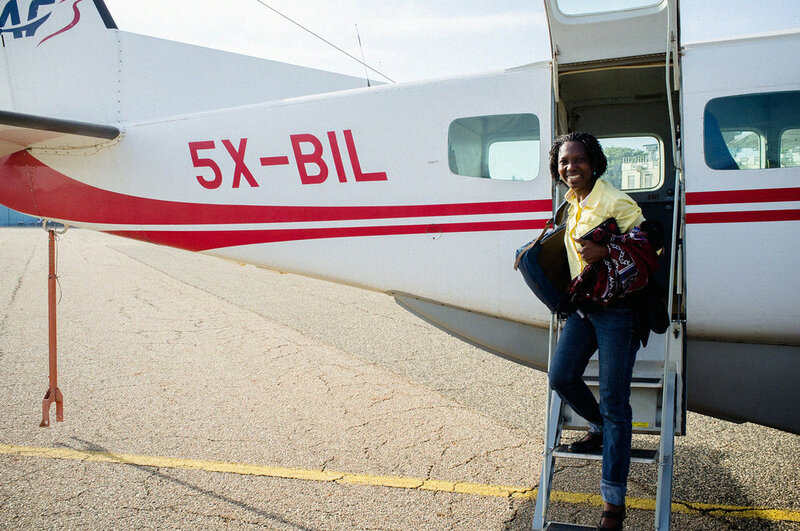 We recommend you consult with your doctor or a travel health clinic as soon as you commit to a trip with GLI. The Center for Disease Control and Prevention recommends getting your immunizations 4-6 weeks prior to your trip. GLI has hosted many travelers with specific dietary restrictions (vegan, vegetarian, gluten free). Please be sure to let GLI staff know of your dietary needs before your departure. We strongly suggest that travelers pack light. Many travelers bring one checked bag and one piece of carry-on luggage. Other travelers simply bring a carry-on. Occasionally, GLI staff will ask travelers to check an additional bag to bring over supplies. 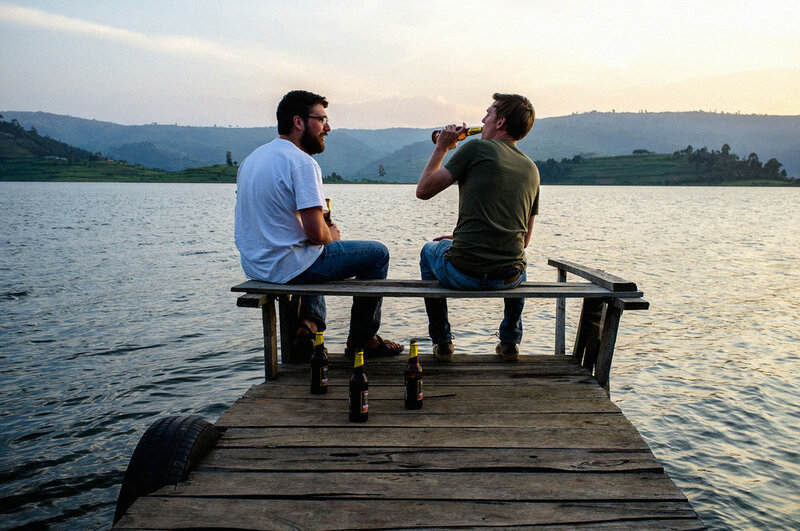 Bring something warm as it can get chilly at night on Lake Bunyonyi. Yes. However understanding that political climates can always change we monitor both countries closely via the U.S. Mission to Uganda and Rwanda. GLI’s top priority while traveling is safety. Our staff in the U.S. and Uganda actively monitors all U.S. Department of State travel advisories. More information about traveling in Uganda and Rwanda. We recommend not bringing laptops unless required for work or academic commitments. WiFi is available in East Africa, but the connection is often weak and unreliable. As a result, travelers are encouraged to bring a smartphone or tablet to check-in with family and friends. Will I be able to communicate with family and friends back home? Yes. We understand how important it is to stay in touch with family and friends while traveling. We encourage travelers to download apps that allow users to call and text over WiFi such as Viber and WhatsApp prior to departure. Prior to all departures we will provide you with a working number that friends and family can contact should there be an emergency. All of the major cell phone companies offer a range of data packages while traveling internationally. GLI does not require you to purchase an international cell phone plan, but if it would make you more comfortable while traveling we encourage you to explore international options with your cell phone provider before leaving for your trip. Lake Bunyoni (“place of many little birds”) is a volcanic lake with very little wildlife that we associate with Africa. There are no hippos, crocodiles, snakes or other reptiles. It is one of the few lakes in the region that is rumored to be free of bilharzia and safe for swimming, however, this claim is not verifiable and patrons of the lake have tested positive as recently as 2012. The lake appears on the 5,000 Ugandan shilling note under the title “Lake Bunyonyi and terraces”. We encourage individuals and groups to tip at the end of their stay or their time with their driver. A tip of $10-$20 USD is very generous and thoughtful. With groups we usually combine the tips and give them to the manager to ensure that ALL staff are included and receive some compensation for their service. It is okay to tip for exceptional service but please be mindful not to single out one staff over another with large tips (e.g. $50 USD) as this can lead to other conflicts among their peers. Please check with one of the lead staff if you have questions. GLI has a very solid working emergency plan and good relations with all of the best hospitals and clinics in the region. Your travel insurance company also has a toll free line that we can access should it be necessary. Please do not give money to persons on the streets. Check with a staff if you want to provide something to somebody you meet. While it can be a very “nice” thing to do, by giving out money or other items (phones, laptops, etc.) it can create unnecessary conflict or expectations that impact our relationships with the community. Please work from our wish-list for items to bring that are helpful to the community work that we are doing. It is a good idea for travelers to bring one nice pair of slacks and collared shirt or skirt for a more formal meeting or dinner or community event. However, most venues are very casual. In most cases, t-shirts, knee length shorts or skirts are appropriate when we are working in the community. Comfort should be a priority. Short shorts or tight shirts can be offensive as the culture is conservative. Modesty is important in Uganda. Culturally, females wear skirts and it’s very common for men to wear button up/ collared shirts. We recommend women bring a few comfortable skirts and men at least one pair of pants for meals with distinguished guests. Otherwise, dress is casual and can include shorts, jeans, t-shirts and flip-flops. We recommend bringing one pair of close-toed shoes/boots and one long-sleeved shirt. A hat, cap, or buff will protect you from the sun. Please note that it is culturally appropriate in Uganda for women to have their knees covered and refrain from wearing spaghetti straps. Contact your health insurance provider to make sure you will be covered while abroad. It is crucial that you have international health insurance coverage. You can also find affordable traveler’s insurance at Volunteer Card or Seven Corners. Student rates are very affordable and can also be accessed through your Campus Health Clinic. If you have any additional questions about your travel, feel free to reach out to the GLI staff.